It's topped with Lucky Charms marshmallows, too. Frankly, it wouldn't really matter whether Burger King's latest drink offering was any good. We're just so glad it's not another unicorn-themed drink. BK's newest treat sounds like it really is just as magical as its unicorn counterparts without any of that cloying, um, unicorniness. The fast-food chain just introduced its Lucky Charms milkshake, which will join the Froot Loops milkshake it debuted last April, both of which feature soft-serve vanilla ice cream that's been infused with cereal-flavored syrup. The drinks are then topped with a delectable-sounding layer of whipped cream and finished off with either Lucky Charms marshmallows or colorful Froot Loops bits, depending on which one you ordered. The Lucky Charms Shake. Lucky you. Sugary sweetness? Check. Inexpensive enough for all of us to enjoy? Check. A serious nostalgia factor? Check. 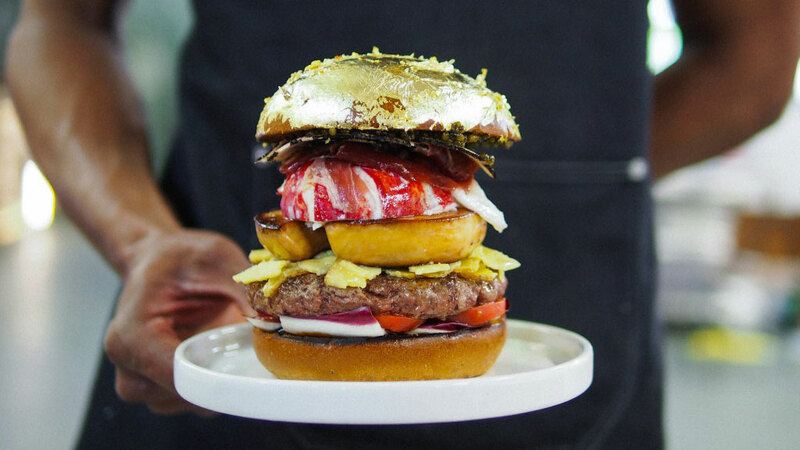 Instagram, we hope you're ready...because these guys have all the elements needed to become the next photogenic food trend. 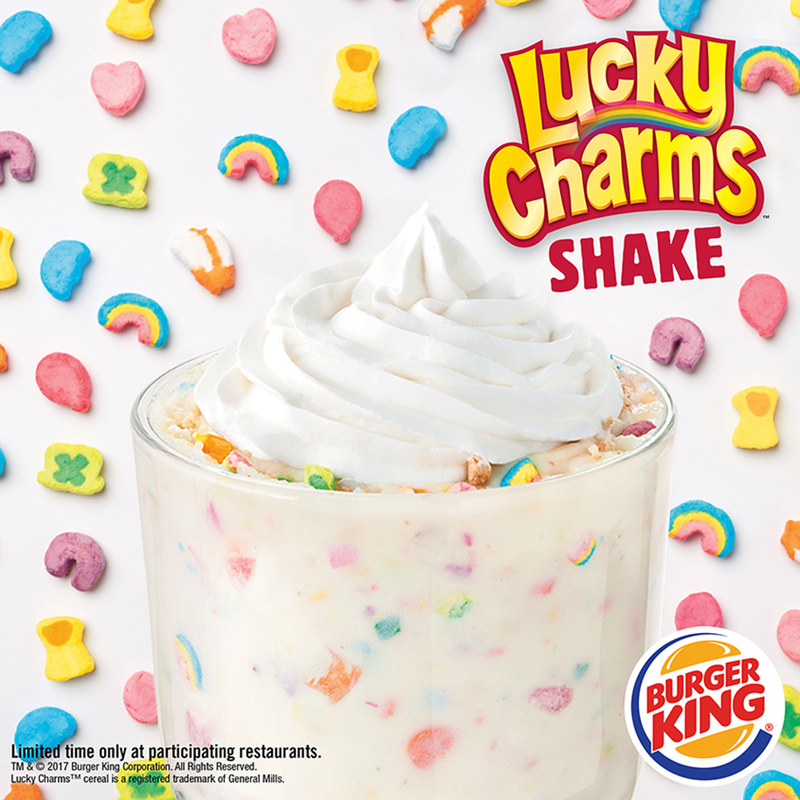 As Burger King executive Alex Macedo noted in a press release, the shakes weren't just inspired by the cereal brands to which they pay homage; they're actually part of a bona fide partnership (which makes sense, since, as far as patented brand names go, "Froot Loops" and "Lucky Charms" are most certainly not up for grabs). "For over 60 years we have been serving delicious hand spun milkshakes—and now for the first time, we've partnered with Lucky Charms cereal," Macedo stated. "The mashup of our velvety vanilla-flavored soft serve and one of America's classic breakfast cereals is something we think our guests are going to love." As magically delicious as it may be, the shake isn't exactly health food. It weighs in at 740 calories and 17 grams of fat. But get this: It's only $2.99, which makes it cheaper than a box of cereal. So there's that! Of course, if you can't make it to BK, you can always just order a bag of Lucky Charms marshmallows (no cereal, just 'mallows!) and eat to your heart's content. Either/or.